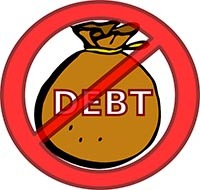 • Bankruptcy discharges (gets rid of) your debts at a cost that's much less that "settling" your debts, even if settling is possible (which it often is not). • Bankruptcy may help your credit scores. Most people who contact me are already behind on their credit payments and their credit scores are already low. "Within a year, you're way better off," says Jaromir Nosal, assistant professor of economics at Boston College, who co-authored a study for the Federal Reserve Bank of New York about the effects of bankruptcy. He said "It's a pretty rapid rate of recovery." • Researchers at the Federal Reserve Bank of Philadelphia found, using Equifax credit scores, that for people who filed a Chapter 7 bankruptcy (the one that gets rid of your debts quickly) their average credit score went from 532 to 620 within six months. • Bankruptcy stops collection calls, lawsuits, and wage garnishments from the date the bankruptcy case if filed. No other option comes close to doing that. • Delaying filing bankruptcy often means that you'll "go through" money, including retirement accounts, that you would have been able to keep in a bankruptcy if you had filed earlier while you still had those assets.. So if you're in a financial position to even think about bankruptcy, do yourself a favor and contact an experienced bankruptcy attorney in your area sooner rather than later. ← Can I keep my house and car if I file bankruptcy?